ForkBLOCK Forklift Attachment | Latta Equipment Company, Inc. Same benefits as ForkSADDLE, except it can be used for any non-cylinder shape material, sensitive materials/coatings etc. Great for odd jobs around the plant and equipment moves. Protects coatings and eliminates scuffing, dents, damage, material contamination and dampens vibrations. Stabilize loads; minimize load shift; holds tons of material. 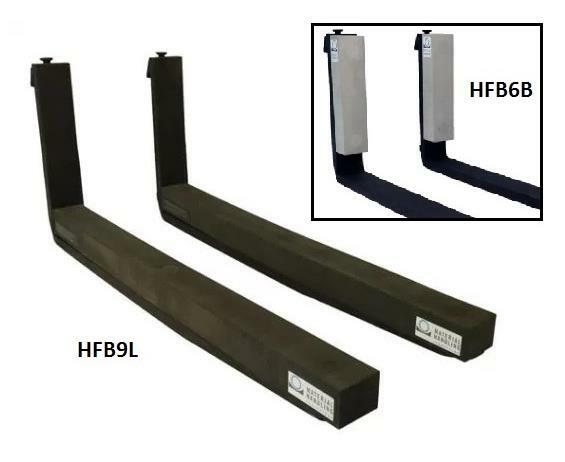 ForkBLOCKs feature embedded permanent magnets that quickly attach to the truck forks offering a new way of handling sensitive materials or odd shapes safely. 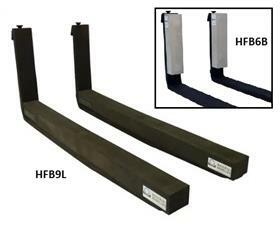 ForkBLOCKs offer unique capabilities by securing, cushioning, protecting and stabilizing loads. ForkBLOCK conforms to shape of material during transport, then recovers. Durable for years of reliable use. 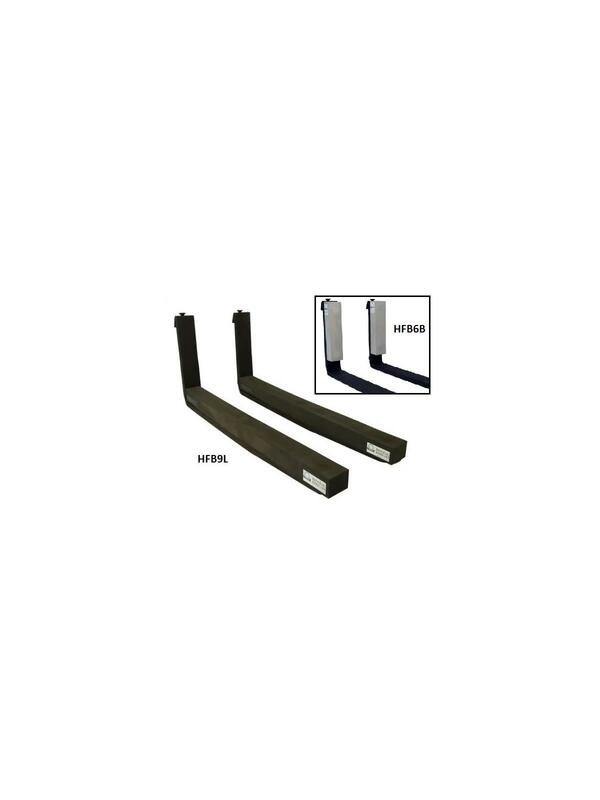 Load capacity is based on a combination of material specifications, test data, and using a ForkBLOCK on each fork. FOB Shipping Point. Warning: Conforming with rated load capacity of fork trucks supercedes capacity of ForkBLOCKs. Safety breakthrough in forklift handling. Keep your cargo and employees safe. Easily sets up and handles odd shapes. Protects cargo, dampens vibrations and stabilizes load. Proprietary high density material supports tons; incredibly durable and strong. Patented. Standard products and custom solutions available. Call for storage and transport solutions. 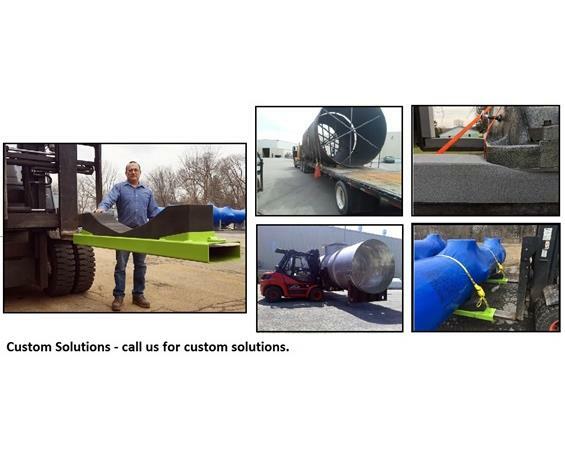 Custom Solutions - call us for custom solutions. We customize shapes, material density/type, color, size, etc. ForkBLOCKs or SADDLE outside standard sizes listed are custom. Our engineers will work with you to solve unique handling challenges. We customize solutions for fork trucks, general material handling, including transport, storage and material separation. See Related Items tab for Forksaddle Forklift Attachment and Forksleeve Forklift Attachment.